With the CyberLab, STULZ is introducing a new precision climate unit that was developed specially for applications with a low or no heat load, though in which temperature and humidity need to be kept constant with precision. This product is a reliable and efficient solution for laboratories, archives and museums. The integrated window in the unit allows the condition of the heat exchangers and condensate tray to be inspected. Special applications require special system solutions. 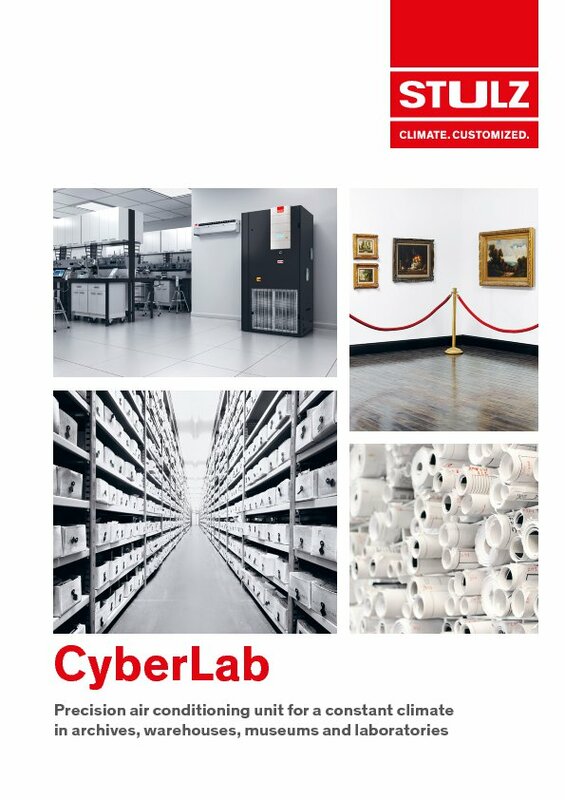 With the CyberLab, STULZ provides a compact solution for applications which require constant temperature and humidity conditions with a low or no heat load.